I’m not sure exactly when I fell in love with words. I think it happened in high school; though I’ve been a voracious reader for as long as I can remember, I distinctly recall a time in the early Summer during the middle of high school where I became fascinated by the English language, obscure words, and their histories. I vividly remember devouring books like The Endangered English Dictionary. It just sort of… happened, not terribly different from how I fell in love with wine, actually. 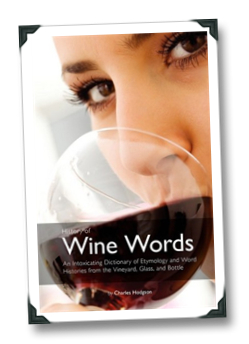 I was recently contacted by Charles Hodgson, an author and podcaster about receiving a review copy of his latest book, History of Wine Words – An Intoxicating Dictionary of Etymology and Word Histories from the Vineyard, Glass, and Bottle. I’m sure that Charles wanted to send me a copy because of the blog (mine, I mean), and not because of my closet desire to be an etymologist, since there’s no way he could have known about that unless he’s also a clairvoyant (to the best of my knowledge, his podcast is about etymology and not long-distance cross-border mind-reading). Some of you out there reading this who may be in the wine trade will already know some of what I’m about to unfold here on the virtual pages of 1WineDude.com. To those people I say this: chime in with some comments to help those who are soon to step into danger’s path. 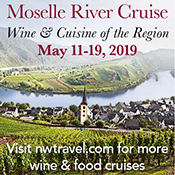 Some of you, who are new to the trade, or are eager and enthusiastic consumers who are planning to attend a wine tasting event during which you may have the opportunity to taste upwards of 100+ wines in a short amount of time. 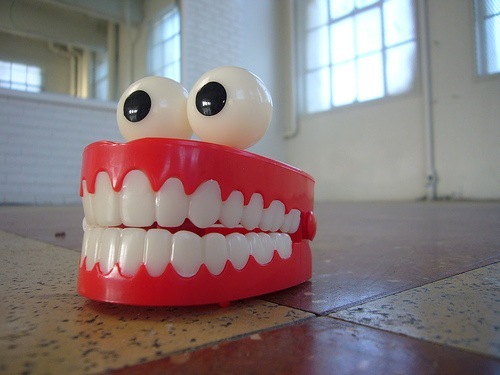 To those people I say this: read on and pay attention – it just might save you some pain. Some real pain. Anyway… I’m not talking about the fact that you need to pace yourself when tasting dozens and dozens of wines, or the hazard of your judgment becoming impaired due to absorbing alcohol through your mouth even if you spit all or most of your tastings. 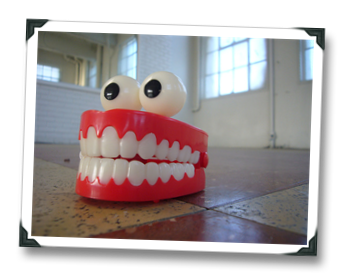 I’m also not talking about the potential staining of your teeth from tasting a ton of red wine (though that is certainly an occupational hazard, though a temporary one). Frequent 1WineDude.com readers may have noticed a sharp-looking widget over in the sidebar titled “3 Wine Picks.” This little bugger comes courtesy of winecliQ, the brainchild of AmericanWinery.com, which I helped to test during their private beta. Select your favorite wines at AmericanWinery.com. Add ‘em to your winecliQ. Promote your picks through email, Facebook, your blog, website, etc. People who dig your style buy the wines you recommend direct from the wineries through a secure checkout. Wineries handle shipping and customer service. You get cash just for talking about the wines you like. Now your wine “hobby” can pay for itself! There are new FTC regulations that could end up throwing a wet blanket on the winecliQ party, but as far as I’m aware there’s nothing stopping you from joining and possibly profiting from it in the short term if you have a blog or website. 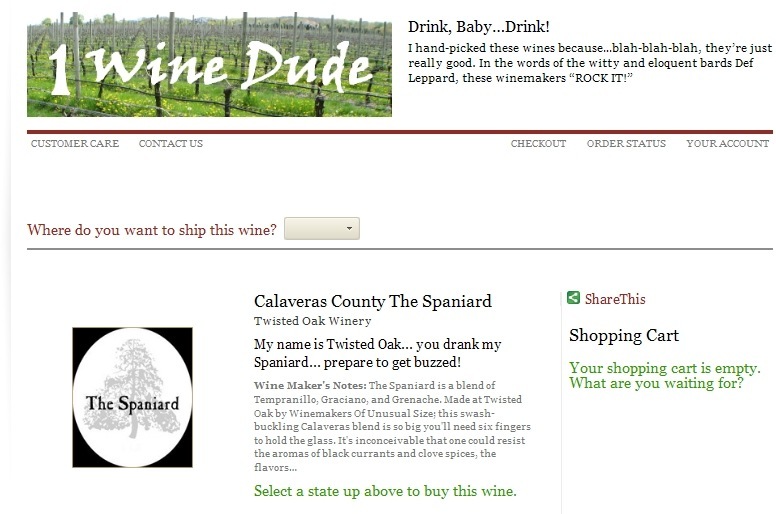 In addition to the sidebar widget, you can also get a customized landing page for your wine picks, and an “individget” that can be used to highlight individual wine picks (if they’re available for sale on AmericanWinery.com, that is). 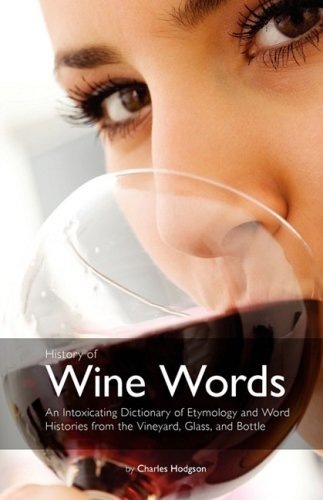 Anyway – worth checking out especially if you’re blogging about U.S. wine.